Role purpose: To ensure that the board meetings and board related activities of Vodacom Tanzania are efficiently administered. Provide support to the business, senior management and Governance functions and Drive the development and maintenance of good relationships with internal and external business stakeholders at appropriate levels ensuring an open and co-operative environment. • Plan and co-ordinate board and sub-committee meeting calendars, agendas and related documentation. • Liaise with Company Secretary to assist in the process of drafting board resolutions. • Coordinate board, sub committees packs as well as packs for VTPLC’s subsidiary Companies’ boards. Ensure quality of reports received contains all information required are in a standard format. • Assist by engaging with business on transactions requiring board approval, provide guidance. • Ensure the company complies fully with all statutory administrative requirements. • Manage the corporate governance process. • Monitor compliance with Tanzania board requirements and highlight compliance gaps associated with VTPLC and its subsidiary boards. 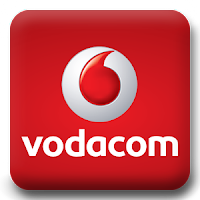 • Liaise with Vodacom/Vodafone Group on best practice. • Excellent English language communication skills (written and verbal). • Ability to liaise with and relate to senior executives. • Thorough understanding of governance principles and company law.